Prevention is a word that is well known to herbalists. The practice of herbal medicine uses herbs to nourish and strengthen the body and increase vitality. 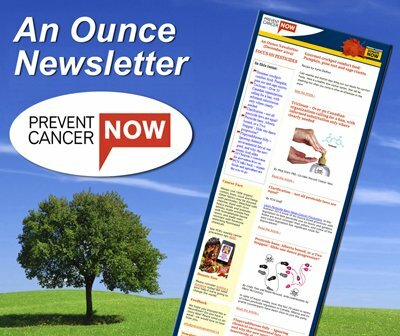 Herbs play a role in cancer prevention in several ways. They can increase immune function and detoxification, and help the body and mind cope with the everyday stresses of life, including cancer. Other herbs act as direct anti-cancer agents, inhibiting the initiation, promotion and progression stages of cancer development. Turmeric – This common culinary spice has been used medicinally for thousands of years. Modern herbalists value it for its many healing properties, including cancer prevention and treatment. It enhances the production of tumour fighting cells, is antioxidant, anti-inflammatory, immune stimulating, and supports liver detoxification. Eat 1 teaspoon daily with food; combine with olive for better absorption. Milk thistle – Our livers are very important for overall health and for cancer prevention. The seeds from milk thistle repair damaged liver cells, block liver toxins by binding to liver receptors, and protect against environmental toxins and damage caused by drugs and heavy metals, including chemotherapy. It also has anti-tumour properties. It is best taken in tincture form at bedtime, since the liver’s building (anabolic) stage occurs while we sleep. Citrus peel –The peel of tangerines, grapefruit, oranges and lemons contains a potent anti-cancer substance called D-limonene which destroys cancer cells, is anti-tumour, and stimulates the detoxification of carcinogens by the liver. The peels can be grated into salads or baking, and can be dried and added to teas. Organic is best. Medicinal Mushrooms – There are over thirty mushrooms that possess potent cancer preventative and immune strengthening properties. Maitake, reishi and shiitake are some of the most potent. They help to counteract the toxic effects of chemotherapy and radiation. I like to promote shiitake mushrooms because they can easily be added to the diet in fresh or dry form; boiling them as soup stock is my favourite way to extract the medicinal compounds. Lentinan, one of many active compounds in shiitakes, inhibits metastasis and prevents chemical and viral stimulated cancer cell development. Sea Vegetables – Sea plants are highly nutritive and contain all essential minerals and trace minerals, plus vitamins, amino acids, and other medicinal components. They have anti-tumour properties and protect against radiation damage. Include these in the daily diet by grinding them and using them in a shaker instead of salt. Alternatively, seaweeds can be added to soups, toasted in the oven as a snack, used in sushi, and salads. Try wakame, dulse, nori, hijiki, kelp, and kombu. Allium family – The allium family includes garlic, onions, shallots, leeks and chives. Eat them daily for their anti-tumour and immune enhancing components. Raw, crushed garlic is the most medicinally active preparation; mix it with other foods to tone down its strong flavour. This is a small sample of the many herbs with proven cancer preventative properties. Just as cancer can develop slowly, with small daily exposure to carcinogens and toxins, small daily exposure to gentle yet effective medicinal herbs and vital, fresh foods helps to strengthen our self-corrective, healing capacity.